French OnePlus fans were recently treated to a limited-edition release of the OnePlus 3T, dubbed "colette." 250 units of the unique handset were created in partnership with colette, a Paris clothing boutique, to commemorate its 20th anniversary. The colette's all-black finish quickly become the envy of OnePlus fans worldwide, who clamored for the company to make it available to them. 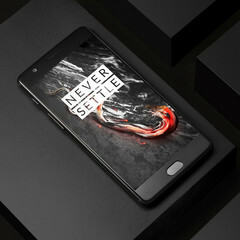 Today, OnePlus has announced another limited release for the coveted handset, this time called "Midnight Black" and available through fashion website HYPEBEAST's online store, HBX. The OnePlus 3T Midnight Black limited edition is identical to the colette limited edition, except it lacks an engraved store logo. Both handsets have nearly identical specs to the regular OnePlus 3T, which features a 5.5-inch 1080p display, a Snapdragon 821 quad-core CPU, and 6 GB of LPDDR4 RAM. The only difference (besides the finish) is the storage capacity—both limited-edition handsets include 128 GB of space exclusively; there is no 64 GB option. Quantities for the Midnight Black are extremely limited—a mere 250 units will be available. The Midnight Black will go on sale on March 24 at 12 PM eastern standard time, at $479 (plus shipping). Only customers in Europe, Hong Kong, and the US will be able to place an order for the Midnight Black. OnePlus knows that 250 units won't satisfy demand for the Midnight Black, so it has also announced a general release for the handset. However, it has not provided a specific release date; the OnePlus website only states that the Midnight Black is "coming soon."